CDC director concedes that the pro-vaccine movements to counter misinformation campaigns have not been robust enough. As cases of measles continue to rise across the United States, lawmakers met Wednesday to confront the growing public health threat. The sometimes raucous hearing, held by the House Committee on Energy and Commerce, laid out one of the main challenges: stopping the spread of conspiracy theories and misinformation about the measles, mumps and rubella vaccine that have contributed to vaccine-hesitancy in many communities. 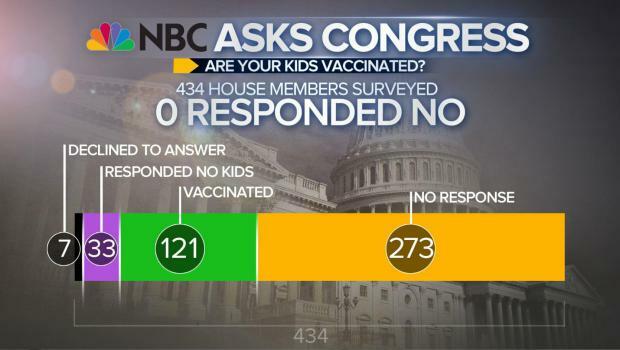 At least twice, Rep. Diana DeGette, D-Colo., stopped the hearing when audience members, both for and against immunization, shouted down speakers over vaccine safety. Dr. Anthony Fauci, director of the National Institute of Allergies and Infectious Diseases at the National Institutes of Health, acknowledged that there hasn't been effective countering of the anti-vaccine movement.